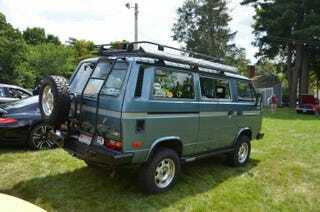 How do you pronounce Vanagon? Is the "-agon" like "wagon" or like "pentagon?" Or is it completely different? Personally, I always have it rhyming with pentagon in my mind, but then I instantly get the feeling that I'm being an idiot so I just refer to it as a "Volkswagen van" if I ever need to say it out loud.